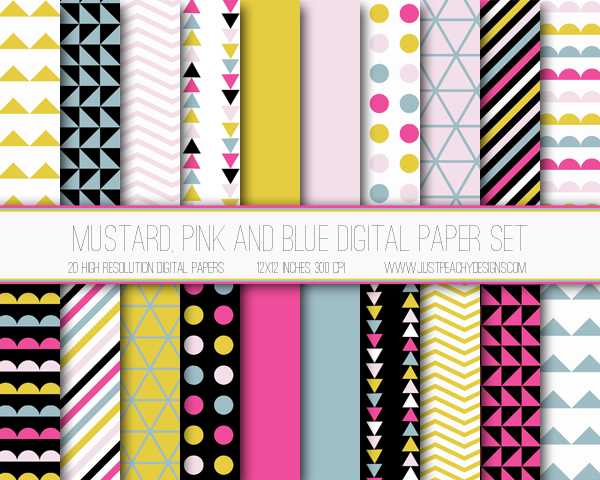 I just put this new paper pack up for sale at the Just Peachy Digitals Etsy Shop. Of course when I was designing it, I got a little carried away playing around with color combos and would up with some extra digital paper that I didn't have room for in the paper pack. So I figured instead of throwing them away I should give them to you for free! 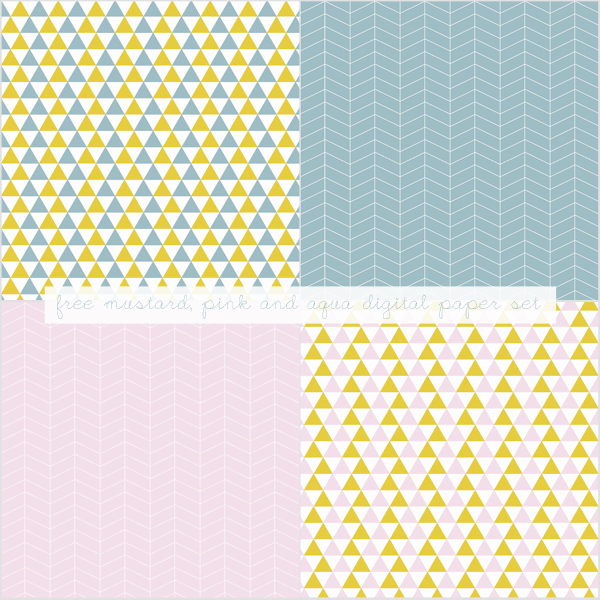 This set of 4 12x12 inch digital papers features triangle and zigzag patterns in mustard, pink and yellow. It's such a nice, modern color combo that would work great in all sorts of scrapbooking, crafting and digital design projects. To download, just click the image above. And please check out the Just Peachy Digitals Etsy Shop to see the original 20 paper set. Normally the pack costs just $4 for 20 papers, but this month you can get 25% off your entire purchase by using the coupon code OCT25 at checkout. It's a great deal, so don't hesitate to check it out!